Don't get into a panic if you cannot get to the gym. Getting stressed out about it will only make matters worse. In today's busy world, there is just not enough time for everything you want to do. One thing you can do, is relieve all the stress with this fabulous fun little dumbbell while sitting in the office, in a meeting or in the traffic. It will help you calm down and will also exercise your hand muscles. This stressball shape is one that you will love. This dumbbell is part of our fabulous range of stress toys that make great gimmicks for promotions of all types. Brand them with our company logo and give them to clients as freebies at expos, seminars, trade shows, outdoor events and team building outings. They are sure to get your clients smiling and relaxed. Our dumbell features the classic shape of the real piece of equipment with a hand grip in the middle and weighted ends. It comes in a stylish dark colour, ideal for highlighting your logo. 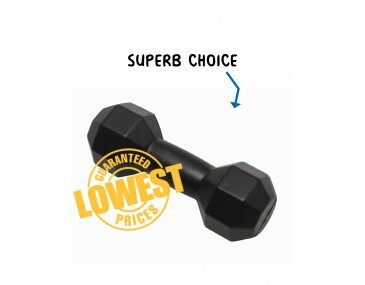 Gym clubs, suppliers of sporting equipment, schools and colleges can use these dumbbell in a fun advertising campaign. Talk to us for ideas, our listed price includes branding of your logo or graphic in a single colour print. We offer a product turnaround time of two weeks, but we can offer even faster turnaround times for urgent orders. Please note that our prices exclude GST and a print set up of $75 applies. This product is stocked and branded in Australia and is available for delivery within Australia only.